News from Camp | 4-H Camp Overlook | A North Country co-ed summer camp and year-round outdoor education facility in the Adirondacks, just south of Malone. We are so excited that registration is open and we are filling fast for Summer 2019! Do not delay in signing up as some weeks and classes fill to capacity well before Spring. February is the month of love (HELLO VALENTINES DAY!) so we wanted to share with you 28 reasons to love 4-H Camp Overlook. Follow or Facebook page (https://www.facebook.com/4HCampOverlook/) or Instagram (4hcamp_overlook) Page to see the promotion unfold each day! Registration for Summer Camp opens February 1st! All Traditional Weeks 1-6 Arrive Sunday between 1:00—3:00 pm. Closing Ceremony is 7:00 pm on Friday. We have been busy planning the 2019 camp season. We can’t wait for summer to get here! If you attended camp in 2018 you will automatically receive a postcard and email reminder in January about applying online. You can also visit the camp website anytime after February 1st to sign up! You can call the Camp Overlook office at 518-483-4769 or email campoverlook@cornell.edu to request a paper application. All paper forms will be sent out after February 1st. Paper forms must be accompanied by a check or money order. Credit card payments are accepts only with online applications. 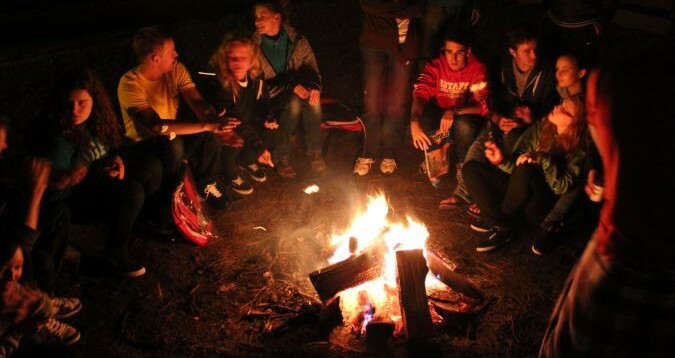 Soon you will be at camp making your 2019 summer camp memories! Click here to view our Classes for 2019!